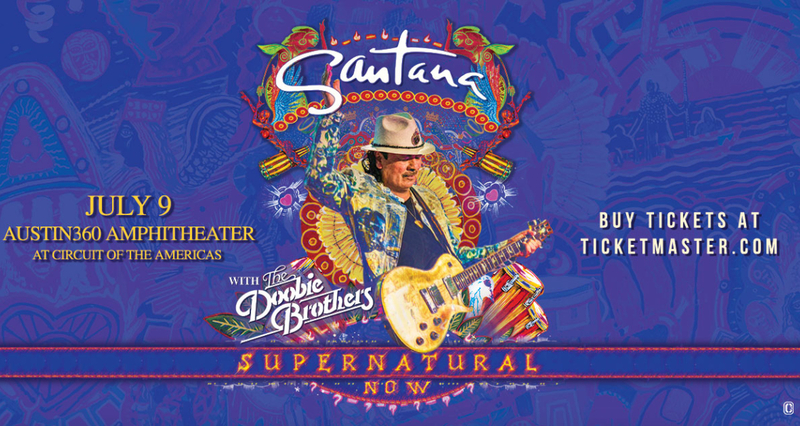 AUSTIN (Jan. 16, 2019) – Rock and Roll Hall of Fame guitarist Carlos Santana has announced he will hit the road with his band across North America this summer for the Supernatural Now tour. The three-month, 29-date celebration will commemorate two of the most important milestones in the iconic guitarist’s career: the 20th anniversary of his groundbreaking, multiple Grammy-winning album Supernatural and the 50th anniversary of his momentous performance at Woodstock. Produced by Live Nation, the Supernatural Now tour begins on June 22 at the Ak-Chin Pavilion in Phoenix, AZ, and will make stops in Dallas, Austin, Chicago, Toronto, and more before it concludes on August 25 at the Jones Beach Theater in Wantagh, NY. Tickets will go on sale to the general public beginning January 25 at Ticketmaster.com or by calling 1-800-745-3000 to charge by phone. "We look forward to sharing the stage with Santana and have an incredible set lined up for audiences. It's going to be a great tour," stated The Doobie Brothers.